I finally got my hands on this. I bought it off Zavvi in Picaddily Circus for GBP7.20 after a 10% discount. Banksy is a well known graffiti artist which identity is kept secret. This book compiles his work and the messages he potrays. 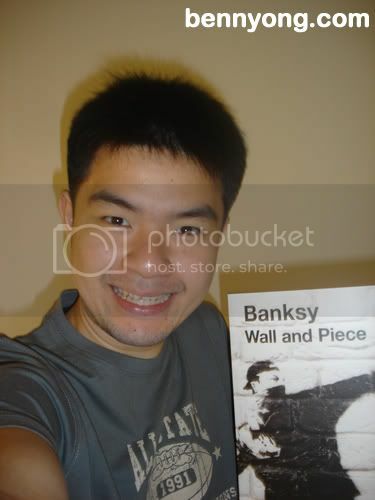 Visit his website at Banksy.co.uk for samples of his work and even videos of him in action. You can even read more about him at wikipedia.com. I highly recommend this book for your collection. I read about his work. pretty cool.